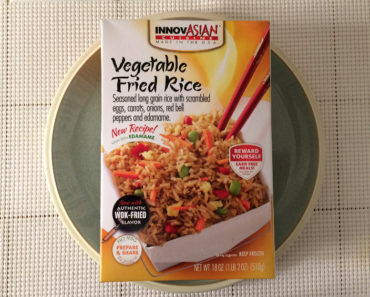 InnovAsian’s rice bowls have been a pretty welcome addition to their frozen food lineup (which contains several very tasty meal components that are designed to complement one another). 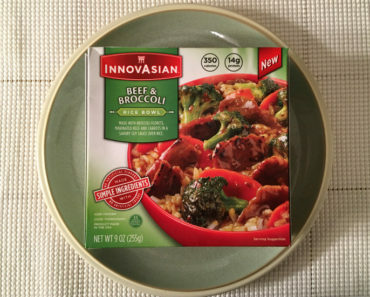 These bowls provide InnovAsian-quality ingredients in a single-serve meal that can be heated in a matter of minutes. Their Teriyaki Chicken Rice Bowl, for example, is very good. Yet not all their rice bowls are created equal, as the mediocre General Tso’s Chicken Rice Bowl shows. 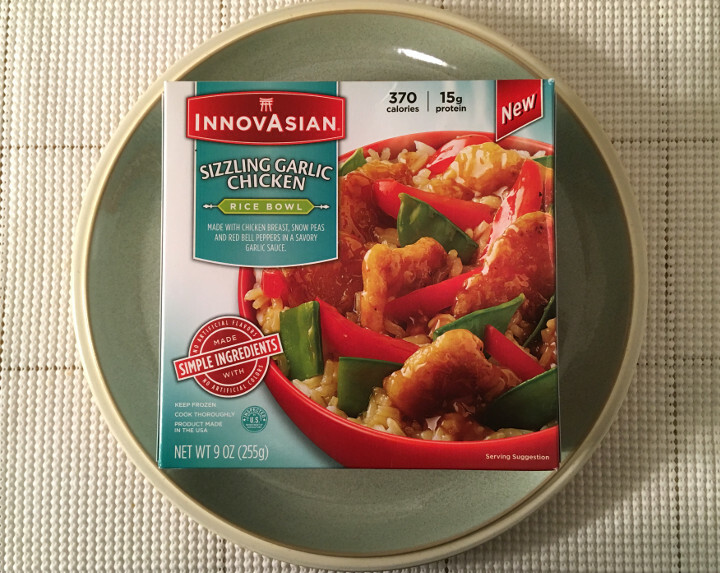 So we dove into the InnovAsian Sizzling Garlic Chicken Rice Bowl with a little hesitation. We hoped for the best and prepared for the worst, as they say. As we mentioned earlier, this meal is a breeze to cook. Simply peel back the film and stick it in the microwave for three and a half minutes — wham! It’s ready to go. 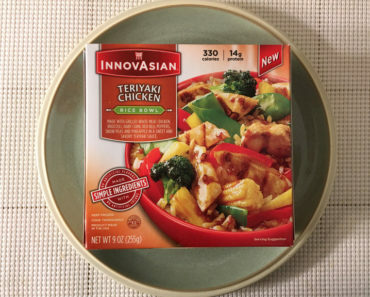 Now, we should point out that this chicken is disappointingly not sizzling when it comes out of the microwave, so the name of this meal is not particularly accurate. So let’s talk about the chicken for a moment. 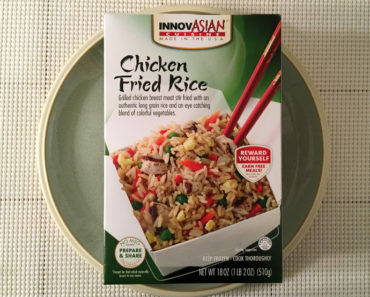 As you can see in the image above, this chicken looks a bit pale (this is a comment we’ve made about InnovAsian rice bowls in the past). 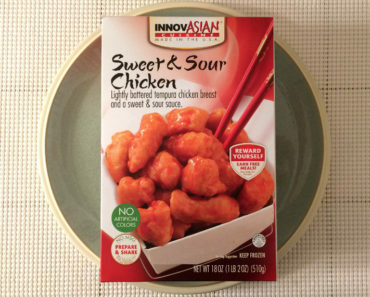 However, it tastes very good, and it has a melt-in-your-mouth consistency that is super rare in the world of frozen chicken. Of course, much of the credit for the flavor should be attributed to the garlic soy sauce, which tastes great. It’s a sweeter sauce than the phrase “garlic soy” suggests, though it’s not quite as sweet as a teriyaki barbeque or orange sauce. The chicken comes on a bed of white rice, which isn’t all that exciting on its own. 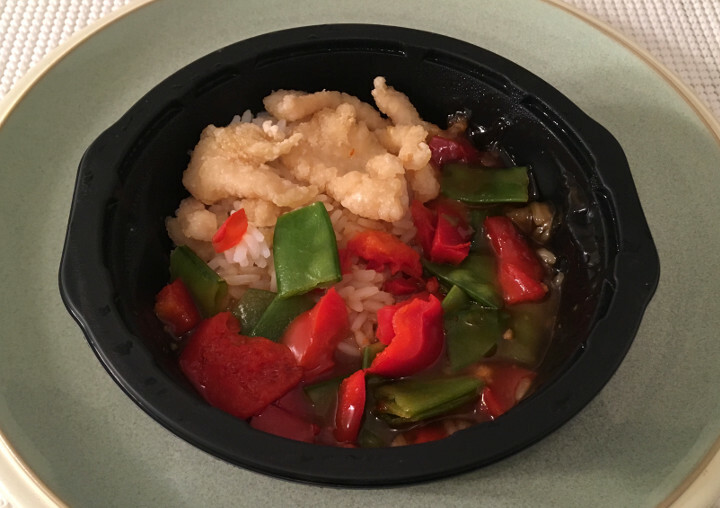 Of course, it soaks up a ton of the sauce, which means even a bite of pure rice is going to have that delicious, saucy flavor. To add a bit of color, you’ve got snow peas and red bell peppers. Neither of those veggies tastes quite as fresh as we think they should, but you might not even notice because, again, the sauce does the talking here. We do wish there were just a little more chicken and a bit less veggies, though. This rice bowl contains 370 calories (40 from fat), which is a touch higher than we’d like a frozen meal to be. Plus, it’s absolutely loaded with sodium, at 820 mg. 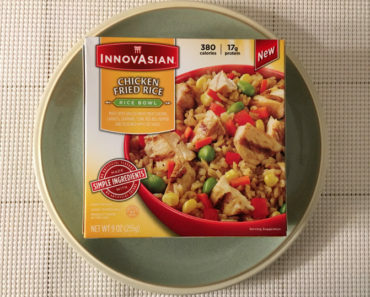 The InnovAsian Sizzling Garlic Chicken Rice Bowl is a great-tasting frozen meal if you don’t mind a few extra calories. While it’s certainly not the best frozen food on the market, it’s quick to make and tasty enough to pack for a work lunch. 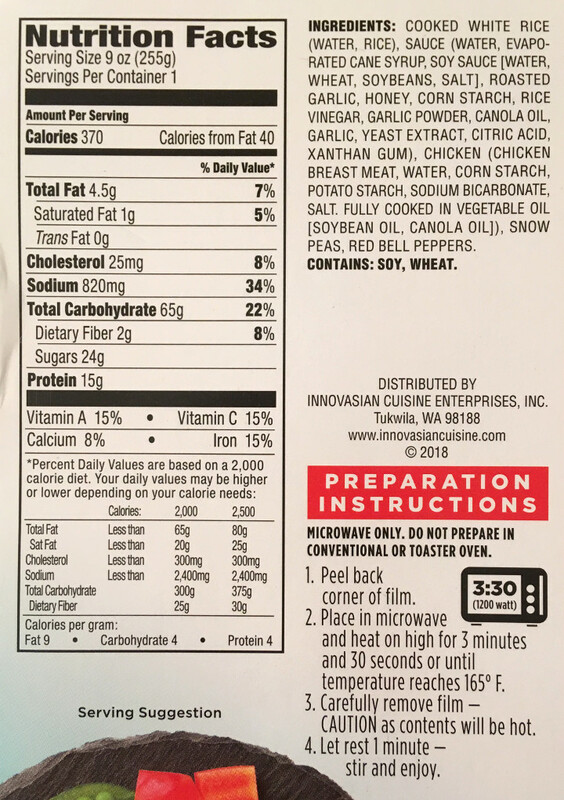 If you want to learn more about the ingredients, nutrition content, or cooking instructions for this frozen food, check out our package scan below.